The aim of this book is to offer a global view of mathematical learning difficulties and their various causes. These difficulties are approached from genetic as well as cognitive, neuroscientific and pedagogical perspectives. 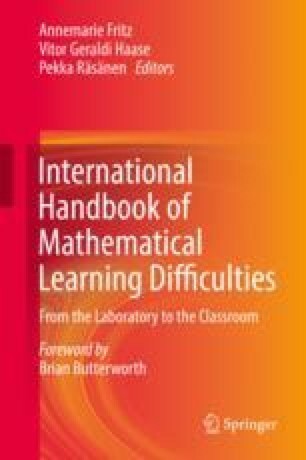 We also describe the current situation of mathematical learning difficulties all over the world. This trip around the world provides a unique insight in how difficulties in maths are approached in different cultural settings. The amount of research on mathematical learning difficulties has doubled every decade, but the question of how the lessons learned from research and laboratories can be applied to everyday practice at schools remains still. Many teachers struggle with the questions of how to identify those children who face problems in learning, how to support them and how to select the best methods of intervention. Roser, M., & Ortiz-Ospina, E. (2017). Primary and Secondary Education. Published online at OurWorldInData.org . Retrieved from: https://ourworldindata.org/primary-and-secondary-education. [Online Resource].